The windows are very rusty and distorted, then need repainting, not all the shutters are there and the ones that are there are very worn. 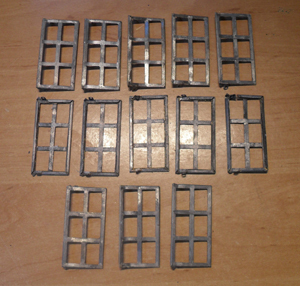 The metal Triang windows have been taken apart, they were and were quite rusty, especially on the inserts in the grooves where the plastic fits in for the windows. 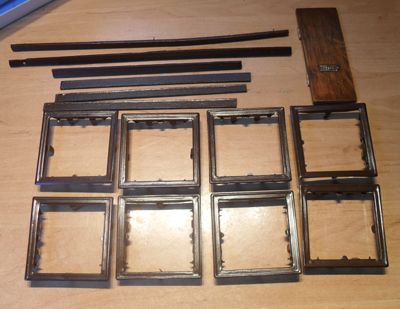 I took the inserts out and stripped the frames. 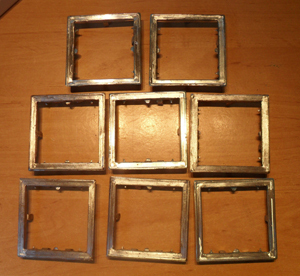 Some of the reverse sides of the frames were very rusty, I have sanded them down and treated the frames with a rust gel. 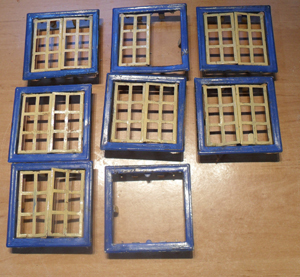 To dry the window inserts, I hung them on a string line and sprayed each one with several coats of radiator paint. As the radiator paint is matt, I gave them a coat of silk spray varnish. 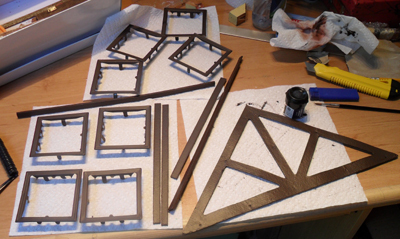 I use a matt water based model paint for the frames as this it is very easy to use and gives a good finish. 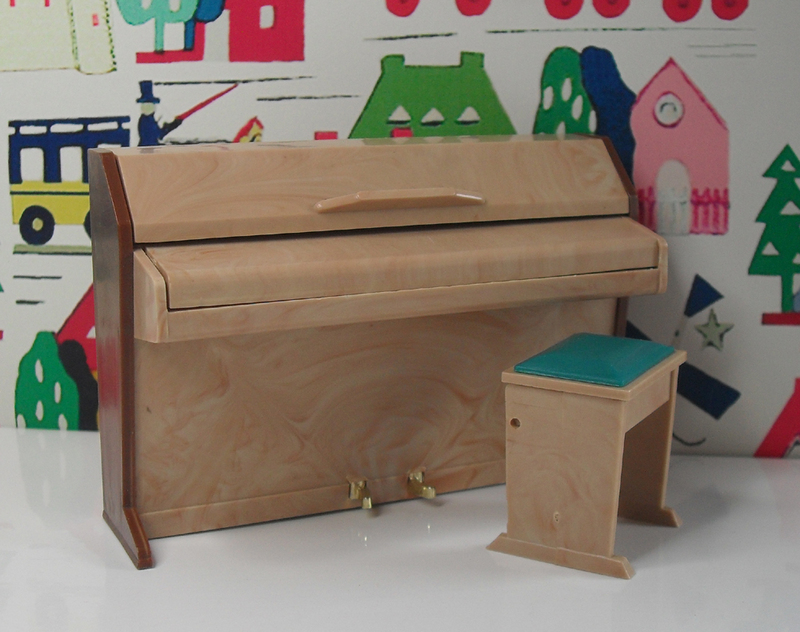 Then they were given a coat of antique pine varnish. 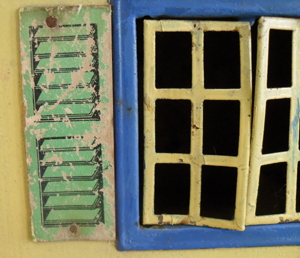 New plastic windows have also been fitted. 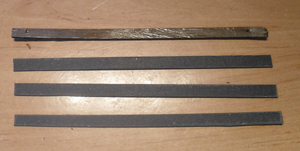 The beams also had to painted brown, I had to make three new beams out of thick card, as the old ones had split too much to repair. The brown paint I use needed to be sealed with varnish, the best one I use in Antique Pine silk as it gives a nice finish. 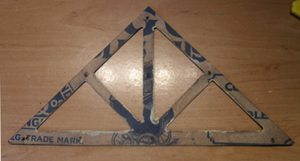 The triangular beam also needed to be painted brown, the other side shows part of the triang label, perhaps it is part of a cardboard packing case, as it is not wood.